Home is where you can almost hear the cheers from Wrigley Field. And that’s exactly what your home at 1022 W. Dakin provides, mere blocks away from the world-famous home of the Chicago Cubs. These remarkable units still boast vintage charm in their exposed brick walls, hardwood floors & unique architectural details that pre-date the Curse of the Billy Goat. 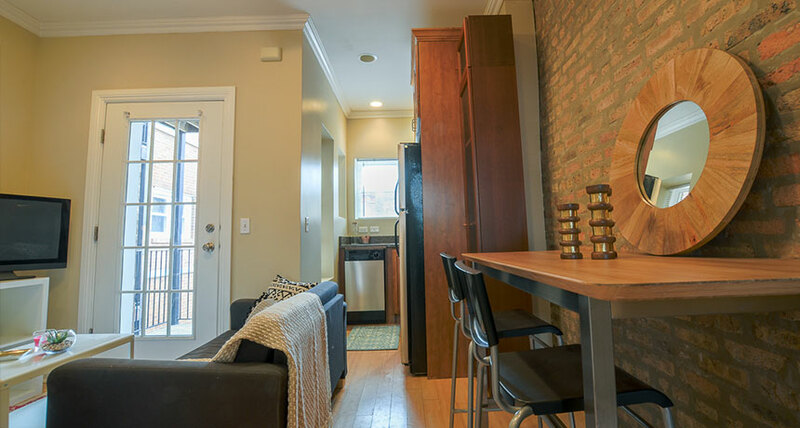 Updated kitchens, central A/C & in-unit laundry add that magical modern touch to these Chicago apartment gems. Grabbing coffee at the Emerald City and 90s dance parties every Saturday at the Holiday club will be just a few of your new favorite things in this Lakeview neighborhood. And, being less than a block away from the Sheridan L stop will make it so easy to explore even more.